Family businesses make up the vast majority of the economy, yet their failure rates are just as high as non-family firms. The tragedy is that when a family business goes under, an entire family’s legacy is lost, often with traumatic consequences. Understanding the dynamics of the people involved. Highlight the key differentiators between corporate versus family firm succession processes – so you can better understand the scientifically established principles to improve the chance of success within your family firm. Help you as the next generation heir ascend to the throne without wreaking havoc within your family – there is no point in saving the business if you destroy your family in the process! Help guide you if you are a non-family member in a family-run firm– so you won’t feel helpless the next time a family issue spills over into the business. Give you advice on transferring family ownership to outsiders – even though this might not be your first choice, it might be an unavoidable reality that requires you to be ready to transition properly if you are to maximise your exit strategy. Help you avoid the most common mistakes and missteps that claim too many family firms. The suggestions and advice are based on cutting edge research combined with practical tips you can apply in your business immediately. Admittedly, the book’s title is provocative. It was chosen in part to get you to pick it up off the bookshelf, but more importantly to bring much needed attention to an increasingly alarming problem – the preventable failure of family businesses. Family dynamics are messy, complex and complicated by the inclusion (and sometimes exclusion) of family members in the business. This book takes a uniquely different approach to reveal a multitude of perspectives to look at the various sources of conflict* involved so they can be identified, isolated and dealt with strategically, diplomatically and effectively. 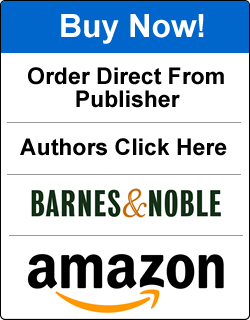 This thoroughly documented exposé brings decades of academic research and literature to you, the small family business owner, in a format that is easy to digest with practical recommendations you can implement immediately. Sadly, many family businesses fail, not because their issues were insurmountable, but rather because they were unaware of the most common mistakes and how they could have been easily avoided. 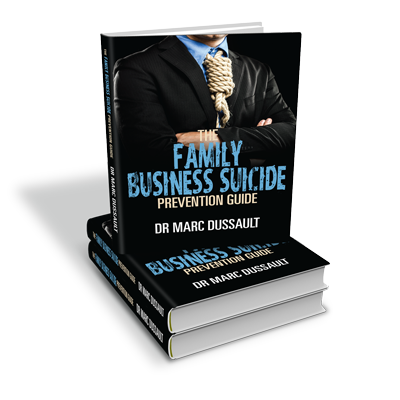 In the case of family business “suicides” – the only cure is prevention. This book is the first step in administering the cure, the vaccine against the infection that afflicts too many families and their businesses. Conflict prevention is the cure remember? Dr Marc Dussault has 5 university degrees spanning engineering, business, law, ecommerce and corporate governance. He is an advocate for family businesses, altruistically trying to reduce the number of small business fatalities by educating, coaching and mentoring small business owners. Travelling the world as The Exponential Growth Strategist, Dr Dussault embraces a holistic approach to business growth and personal development. His Exponential Strategies, concepts and principles are based on academic theories initially conceived within the strict peer review system and validated via the scientific method. Only those strategies proven to produce extraordinary results for ordinary business are deemed worthy of the designation ‘Exponential’.